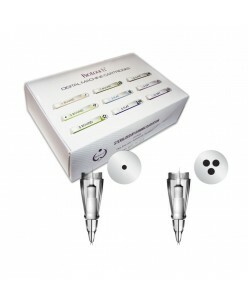 Biotouch Digital Permanent Makeup Machine 1-3 Prong ROUND Needle Cartridge 1pcs. - MADE IN USA- FOR PROFESSIONAL USE ONLY- WORKS FOR BIOTOUCH DIGITAL MACHINE..
Biotouch SILVERA Machine 1-3 Prong ROUND / 3 Prong FLAT Needle Cartridge 1pcs. The Needle Cartridge on BioTouch SILVERA Machine is mechanically designed to prevent cross contamination via a hidden needle for safe use and disposal. The cartridge hole allows for adequate airflow to prevent pigment buildup and backflow. 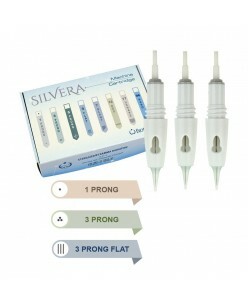 Needle length for SILVERA machine is set at a maximum of 3 mm and the length shortens as t..